Our offices at Idrettsbygget are finally empty. This has turned out to be a much greater task than it might seem. Two containers have been filled with garbage and all of our storage spaces are now empty. We are now handing over the keys to the building to Skanska, who will take care of the renovation. 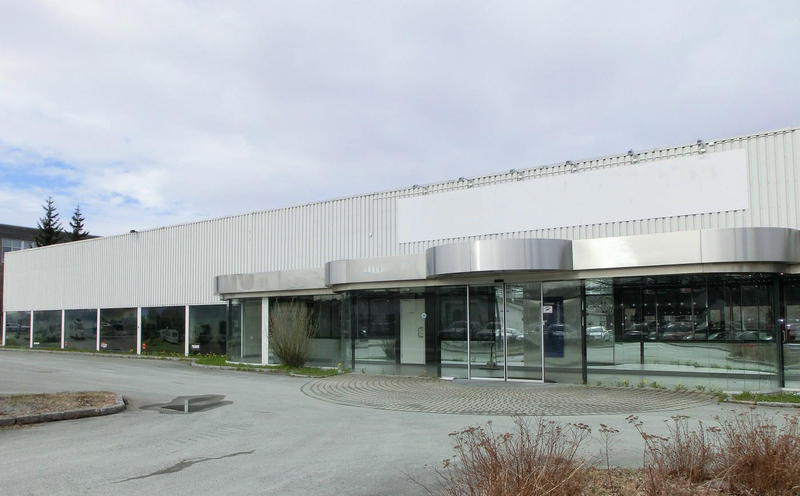 We are moving in with Sit Idrett at Nardoveien 23, where also the new training facilities will be located. Thanks to all of the groups having helped moving out! We couldn’t have done this without you. And a big thanks to vice president Eirik Palm Hunnestad! He has planned this process and done the tough job as coordinator for the project this fall. Next fall, we are moving back into new offices at Idrettsbygget. We will then have a total of four meeting rooms at our disposal. The office can to a much greater degree be used by all the groups for meetings. We must now hope the process follows the plan and that we have a splendid new heart for our association up and running around October. Registration for Student Games 2019 is now open! 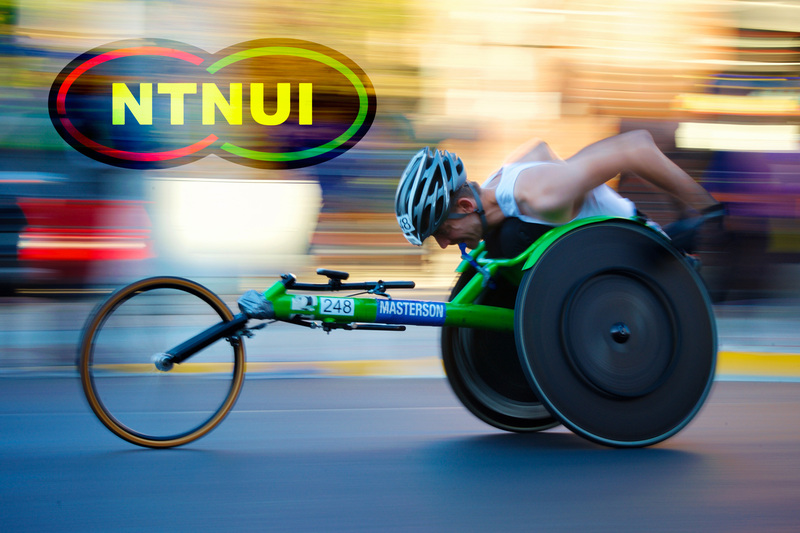 From 20th to 24th of February we will host the NTNUI 20th anniversary for the Student Games! We invite students from all over the country and Trondheim city to the student festival, which is held by NTNUI for the 7th time, bringing together the 15th Student Games at the national level! Are you curious about what the student games are? Check out our website! Are you fond of sporting and social experiences? Want to attend a national sports event with team players or training buddies? 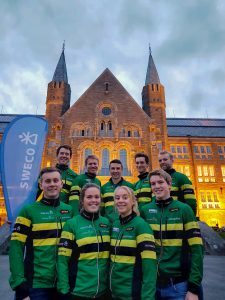 The world’s first university long distance pro ski team! NTNUI Langrenn​ strengthens its cooperation with the engineering consultancy Sweco AS and presents team NTNUI Sweco for the upcoming season! “This is the first team in the Visma Ski Classics that consists of students only! We are incredibly proud to give this opportunity to students that want to combine their studies and skiing at this high level” – chair of NTNUI langrenn Jørund Vala. There are today nine athletes in the roster, including: Didrik Fjeld Elset, Erlend Nydal,Matias Noren, Olav Vestøl, Jakob Mestvedthagen, Jakob Meløy, Ole Sollien Hulbak, Anna Jensen og Camilla Lie. Besides being full-time students, these athletes have several impressive results, topped by Erlend Nydal’s third place finish in the Norwegian relay ski championships. This Tuesday, Sweco Norway’s CEO Grete Aspelund and Managing director Peter Hagen signed the contract on behalf of the team’s main sponsor. “With this team, we strengthen the cooperation between NTNUI Langrenn and the student at the research and educational institution NTNU” Aspelund says. “Our ambition is to show that it is possible to compare studies and professional sports. Our green race suits are definitely going to be noticed this winter and we will do our best to collect points for the team! However, if this should turn out not to be the reality for all of us, we do at least have a good education when our skiing careers one day come to an end” Team Manager Ole Sollien Hulbak says. Free lending of paraidrette equipment! Finally! NTNUI Paraidrett has, in cooperation with NTNUI-Bumerang – Gratis utlån av idrettsutstyr, opened for FREE lending of paraidrette equipment! Take the tour if you want to take a look at the offer, test equipment or a sport. The offer is for everyone and there are no requirements for either being a student or having NTNUI membership. The joy of movement is for everyone! A big thanks to Bardum AS for helping us find and set up the best equipment! The pickup and delivery of equipment takes place in building 6 at Moholt Studentby from 07:00 to 18:00 on weekdays. Feel free to contact paraidrett-leder@ntnui.no for questions, tips or comments! The Student Sports Prize was awarded to Even Kallevik! On Friday the 19th at Idrettens Hederskveld, Trøndelag’s sports stars and volunteers were honored for their work. 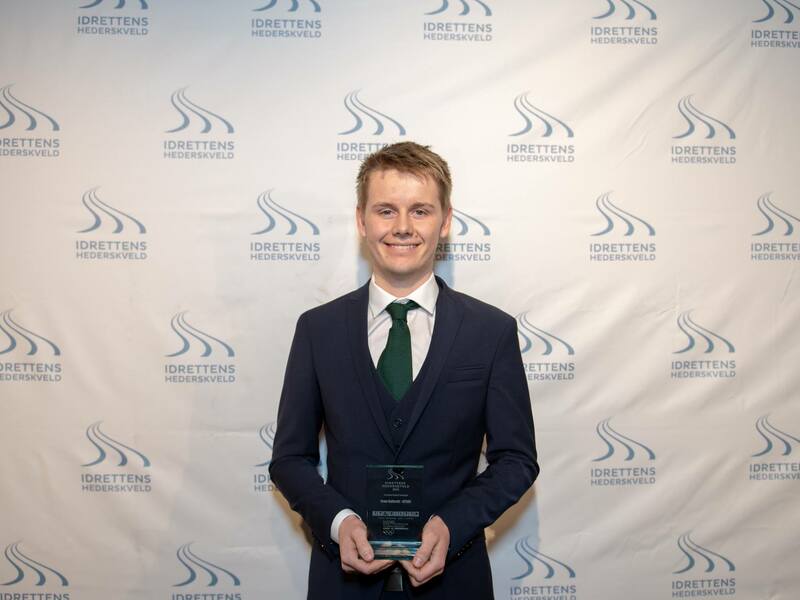 Along with famous names like Marit Bjørgen, Johannes Høsflot Klæbo, and Birgit Skarstein, our own Even Kallevik received the Student Sports Award! Even is on his fourth year at Industrial Economics and Technology Management at NTNU, specializing towards computer science. He has been part of NTNUI since he arrived in Trondheim and has been most active for NTNUI Triathlon. He played a central part in establishing Triathlon as a group in NTNUI and has sat in the board for a long time – now as treasurer. Even’s most important contribution is the establishment and development of NTNUI Sprint, our IT-department. NTNUI is Norway’s first sports club with such a department, and with the goal of creating a digital flagship in sports-Norway, Sprint has taken long steps in digitalizing the club. The group has connected NTNUI to the technology studies at NTNU and are currently developing own software, tailored for NTNUI. With this, Even and his team in Sprint have led the way and begun the enormous centralizing process of “One NTNUI”. More departments like Sprint are established, new communication channels are developed, and information flow is improved. Through this process, Even has taken an important role in defining NTNUI as something more than a sports club. We thank Even for his fantastic effort so far and look forward to seeing the results of his continued work for NTNUI! NTNUI and Trondheim Camping is now cooperating! Are you a fan of minigolf? Then Trondheim Camping is the place for you! Not only do they serve food and drinks, they also have a state of the art indoors minigolf court. Here you can bring your team for a night out, arrange teambuilding for the board, and it is the perfect spot for a first tinder date. Here you can take the board’s discussions to a new setting and have a round of minigolf afterwards – this will be fun! And best of all: All NTNUI-members can play for children’s fare! This means 80 NOK for 12 holes. In addition to this, we have received an offer for extremely cheap fares for semester-cards: So, if you love minigolf and would like to practice weekly through NTNUI: Contact the main board at Hovedstyret@ntnui.no for more info! 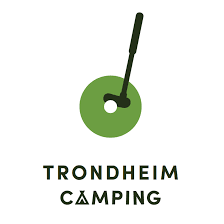 Read more about Trondheim Camping on their webpage: https://www.campingen.no/trondheim. NTNUI is part of StudyTrondheim! 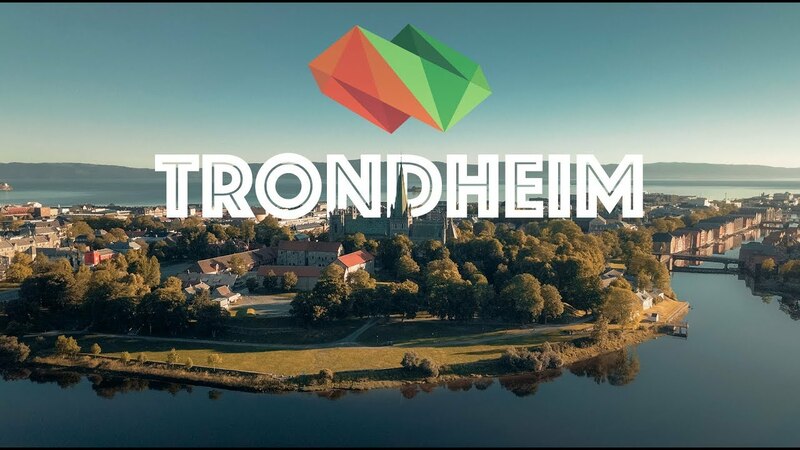 It is a cooperation between the students, the educational institutions, the commune, Sit and the business sector with the goal of establishing Trondheim as the best student city of northern Europe. We are for example making sure the students have affordable housing and good training facilities, we create a reliable framework for the city’s many student organizations and connect students with relevant corporations. NTNUI is primarily focusing on student welfare. We aim to establish sports and exercise as an obvious part of any student’s weekday. We fight a constant battle to expand our capacity and reduce the number of students having to be rejected by the groups. 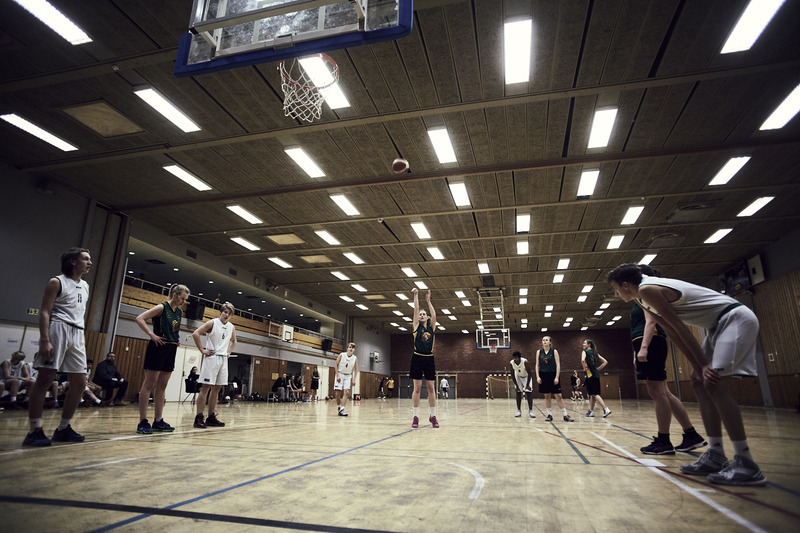 During the campus development project, NTNUI will make sure sports and exercise are integrated into the new area concepts, that the campus has jogging trails and a good framework for activity, that the sports park gets a necessary upgrade and that the facilities at Dragvoll Sports Center is at minimum replaced in the new campus. How can Trondheim become a better student city? If you have suggestions, don’t hesitate to send an email to leder@ntnui.no. Read more about the StudyTrondheim cooperation at studytrondheim.no. We have received a travel letter from NTNUI Volleyball that went to Hitra 31 August – 2 September. The try outs are finished, practices have started and the first real happening of the year is done: Our training camp at Hitra! About 150 of the club’s members was ready and eager to go, and for a good part of the players this weekend would be their first real meeting with NTNUI Volleyball. Just as every year before the busses from Trondheim were delayed out of the city – one more than the next – but one way or another we all made it to Hitra (more or less) ready for the first practice of the weekend. There was non-stop life in the Hitrahall all weekend long, and you shouldn’t be surprised if the walls are still vibrating after every NTNUI Volleyball player who slammed into them to save a ball, or if the ceiling has been raised a couple of centimetres in the aftermath of us. All the teams had at least four practices throughout the weekend and this year like any year before I think it is safe to say that we all felt it – and can still feel it in all of our body’s limbs over half a week later. Not only did we play volleyball at Hitra, we also had plenty of time in the hall to sneak peek at the practices of the other teams in the club, we got plenty of time to play cards and board games, and plenty of time to lie on our mattresses and gab with our teammates. Perhaps not everyone had all the time in the world to do it all, but the trip at least opened up for the possibility for everyone to spend their free time as they pleased. And volunteer work! Of course, we also had time for some volunteer work. What is an NTNU Volleyballevent without a few hours of (mandatory) voluntary work? Together with our eminent leader Ole Kristian the D2A team was in charge of this year’s training camp and they worked around the clock to make sure rest of the club had what we needed of food, toilet paper, and sufficient information about how to do our voluntary work in the kitchen. Kudos to D2A and Ole Kristian for that, and kudos to the rest of the club members who all contributed! Friday night D2A also arranged a volleyballquiz in the cafeteria and on Saturday evening we all gathered in the gym for the famous “stolleken”. An exciting hour of intimate seating arrangements around the room learning to know each other better. Sunday and departure back to Trondheim came too soon and after the last training session, a quick shower, photo shoot for some, and final cleaning for all, we were back on the buses again and on our way back to our mundane lives in Trondheim. Luckily, the season has just barely began and we have a whole year of volleyball related joy to look forward to! The Dragvollhall is filled with volleyball-happy (it’s a word) people every afternoon now and except for a little breath-in-the-ground-frihelg this weekend, there is something happening for at least one of our teams practically every weekend this fall – and we just cannot wait! The first event this fall is the Midtnordisk tournament in Dragvollhallen 14. 15. September, including tbe long-awaited(?) season opening party on Saturday night. Having said this, I wish all of the NTNU’s volleyball members – and eager followers – lots of good luck in the season to come! This will must certainly be an unforgettable season for all of us! One NTNUI is the vision with which the Main Board went to work this spring. The board has so far initiated the process of unifying the association. The aim is to create a better framework for cooperation and a greater sense of belonging to NTNUI, not just to one of its many groups. We are the country’s largest student organization, but the groups work too individually and are unable to reap the synergy benefits accompanying NTNUI’s size. NTNUI is centralizing. We are establishing multiple new committees with the purpose of being able to support our groups to a greater degree. Earlier, the members of the Main Board have done almost all work centrally in NTNUI – 10 students with way too much work on their shoulders. All the positions in the board will now become positions of leadership. In Boomerang, the Para Committee and Sprint are examples of well-established committees. The next ones up are the PR- and sponsor committee, the HR Committee, the Arrangement Committee and the Economy Committee. These will pull a lot of work out from the Main Board, and NTNUI will have more capacity to follow up projects centrally. The committees will have a supporting role for the groups, which can ask them for advice or services. One of the first projects initiated to contribute to a more unified association is the design of new web pages for NTNUI. Sprint have with the new website created a model which we hope all our groups will choose to implement themselves for their pages with support from Sprint. The website demonstrates the size and diversity of NTNUI and will become a clear channel for communication to the members of the association. The Main Board will on this site be able to promote their projects and groups can advertise their enterprise. Better flow of information is a central target for the Main Board. The boards of the groups need to see the bigger picture and know what they are part of – what we are working for together. We hope to see results in this area this fall. With a larger workforce centrally, NTNUI will become a more notable organization here in Trondheim. We will more often see results from the association’s many projects. The Death Valley will be remodeled, Treningsløftet aim to become tradition, our office will be renovated, the Student Games will become even larger and we are now launching our new web pages. We hope to create a better environment for our voluntaries and make it more entertaining to take part in NTNUI’s work towards a better and sportier student city. Through the StudyTrondheim cooperation, NTNUI, Sit, Trondheim kommune, NTNU and the Student Welfare Association have all proposed different ways of stimulating more physical activity outside on campus Gløshaugen. The purpose is to contribute to a healthier and more active campus where the outside areas on campus are formed to accommodate physical activity and social interaction. 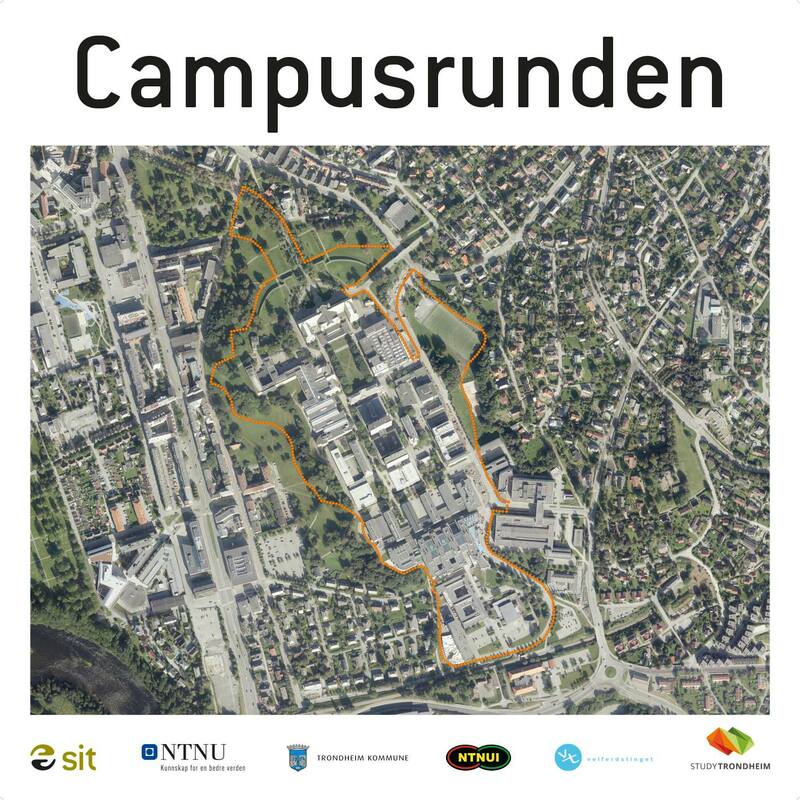 One of the projects is a campus run – CAMPUSRUNDEN. The run is about 3 km long and follows gravel and asphalt paths in a nice lap around campus. Everyone is encouraged to use the track, either for a walk home from work or in between lectures, perhaps even to set your personal record. ​Because of the construction work being done on Gløshaugen, the track will most probably be adjusted to some degree. In that case, the marking will of course be updated, and it will be easy to find your way. Have fun running!